"We just have a small office, network security isn't a problem. They always surf surf to safe websites. They all are very careful when looking at and opening their email to make sure they don't download a virus or ransomware or fall for a phishing scam. Their mobile devices connect to our network just fine, we don't have to worry about them having antivirus installed..."
Today's office IT networks are the backbone of the operation. You need to make sure you are protect from both external and internal threats. Every office needs to make sure they have a firewall solution and security for on-site servers, virtual and cloud environments. Plus have a solution for spam, viruses and web-based threats. Critical data must be protected and stored properly. If it were to disappear today from the face of the earth, would you be able to stay in business? 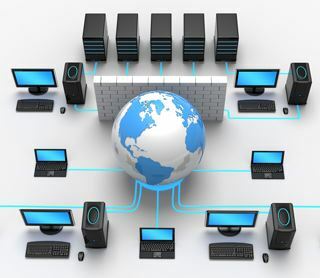 Madison Geeks presents small and medium businesses with reliable and cost-effective network security and solutions. By using a “best practices” approach to implementation, ensuring maximum protection for your network and data, we help make sure your business stays up and running 24/7. No matter what the network or internet threat. Need help with network security and storage? Contact us.